PanARMENIAN.Net - The risk of suicide is more than four times higher among Americans with cancer than those without the disease, a new study finds, Health24 reports. 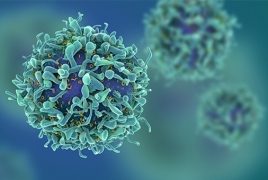 The findings come from an analysis of data on 8.6 million US cancer patients diagnosed with invasive cancer – which is cancer that's spread from its original location into surrounding tissue – between 1973 and 2014. The investigators found that 0.15% of the patients died by suicide, a rate more than four times higher than in the general population. The study, published 14 January in Nature Communications, shows the need for a comprehensive approach to cancer care, according to the researchers.